Pure Offroad is now in it's 10th year of selling ATV & UTV accessories online. We want to thank all of our great customers who continue to shop with us and refer friends and family. We are always expanding our product line to meet the needs of every customer. 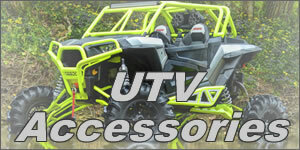 We are especially focusing on our UTV products. We have an extensive line of UTV accessories for Polaris RZR, Yamaha Viking, Polaris Ranger, Honda Pioneer and many more side by sides. Some of our popular UTV products include lift kits, windshields, soft tops & the very popular Audio Formz stereo tops. 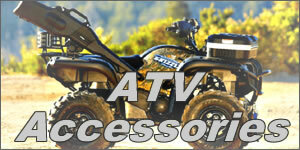 We are one of the largest online retailers of ATV tires and wheels. We carry just about every brand and style of ATV tire available. We have thousands of tires in stock ready to ship along with a great selection of ATV wheels to fit almost any application. If you are looking to buy new tires and rims you should check out our ATV tire & wheel kit section to build your own kit today. We offer free mounting, free shipping, & we include center caps and lug nuts with any wheel purchase. Check out our really popular tires from name brands like GBC tires, ITP, Interco, Kenda & many more. Did you know that we have a section on our website that allows you to browse through our ATV tires by size. We know how frustrating it can be to click through all the different options and try to find something that comes in the size you need. Now you can simply click on the size you need and our site will show you only what comes in that size.